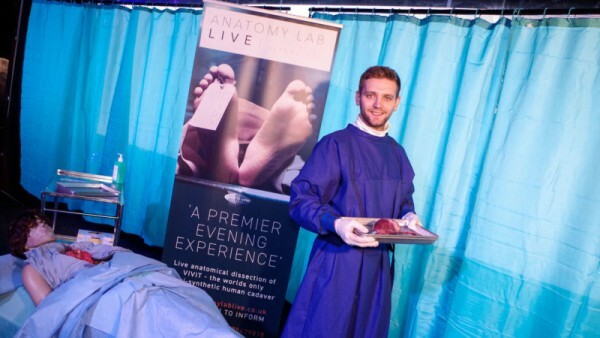 Going out to the same restaurants and bars every week can get pretty boring after a while, but if you like in a large UK city, you now have the chance to spice up your nights on the town in one of the most macabre ways imaginable, thanks to Anatomy Lab Live. The unique experience involves a fancy dinner followed by a live dissection of what looks to be a real human body. There’s nothing like watching a pathologist sink his hands into a corpse and pulling out bloody organs to help the digestion after a hearty meal. At least that’s what Sam Piri, the man behind the Anatomy Lab Live experience seems to think. Sam, who works as a school teacher, claims to have been inspired by the excitement of his students while studying biology, and becoming familiar with pig organs. He decided adults might get a kick out of seeing a live dissection and learning more about the wonders of the human body, but why he thought it would be a good idea to feed his guests beforehand is a mystery. Anatomy Lab Live, which debuted recently at the Village Hotel in Solihull, outside Birmingham, starts off with a fancy dinner of salmon, served with roast potatoes, green beans and roasted butternut squash and carrots. Dessert includes apple pie and custard or Eton mess, and for drinks, guests get to choose between wine and beer. As they feast on the generous spread, the only sign that something unnerving is about to happen is a center table full of syringes, medical waste bags and petri dishes. After everyone is done with their food and the dishes are cleared, a a curtain is drawn back to reveal a realistic operating room recreated right there in the venue. In the center of it is an operating table with what looks to be a corpse with its feet sticking out from under a white sheet on it. As the audience gasps, “pathologist” Sam Piri makes hie entrance, sporting a blue robe and operating gloves. 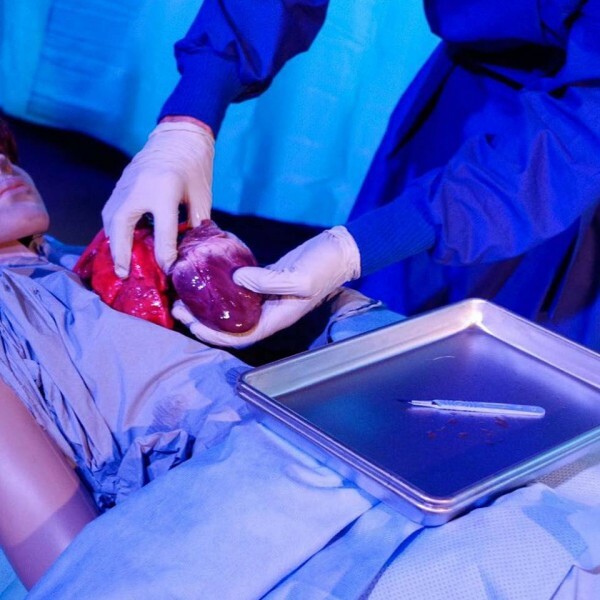 He sinks his hands into the body on the table and pulls out a real heart and the lungs. At this point, guest with a weak stomach are very likely to throw up the dinner they voraciously devoured. As Anatomy Lab Live carries on, Piri continues to take out several organs, including the brain and the intestines, dissecting them and telling the audience all sorts of interesting things about them. He even brings the most interesting organs to the tables to offer his guests a closer look at them, and even invites them to the operating table to take a peak inside the body. 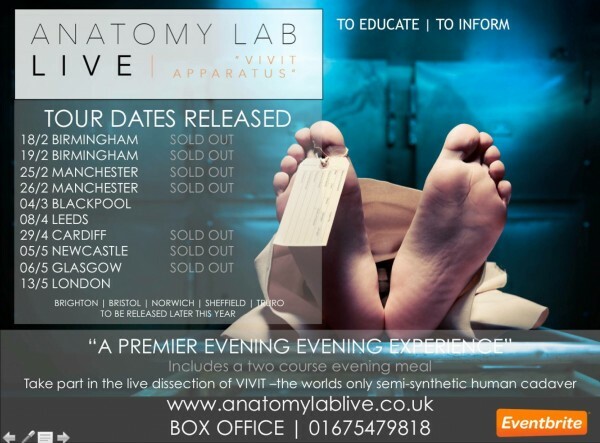 It sounds like the most macabre dinner date ever, but people are apparently excited about the idea of dinner and dissection, and several upcoming Anatomy Lab Live events across the UK have already been sold out. And just in case the very idea of seeing someone dissect a dead body only a few feet away is too much too handle, you’ll be relieved to learn that the body is actually just a realistic plastic model, and the organs, while very real, come from pigs, because they closely resemble those of humans. Sam’s company, Vivit Apparatus, has received a special license from the Department for Environment, Food, and Rural Affairs (Defra) to put on Anatomy Lab Live across the United Kingdom. he views is as an opportunity to educate people about the human body, and offer them some truly unique entertainment at the same time. “With the National Health Service in crisis under unprecedented pressure, we want to educate people so they understand and can take ownership for their own health,” the school teacher says. Asked about the risk of the dissection causing vomiting among the guests, Piri said that he’s not too worried about it. 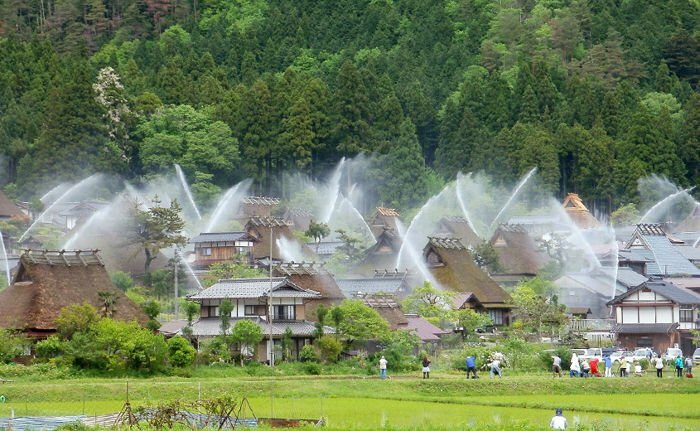 “If things start getting a bit too much for people, they are free to walk out, get some fresh air and compose themselves, then come back in,” he told The Mirror. So if you’re looking for a unique night out, dinner and dissection is now a real option.